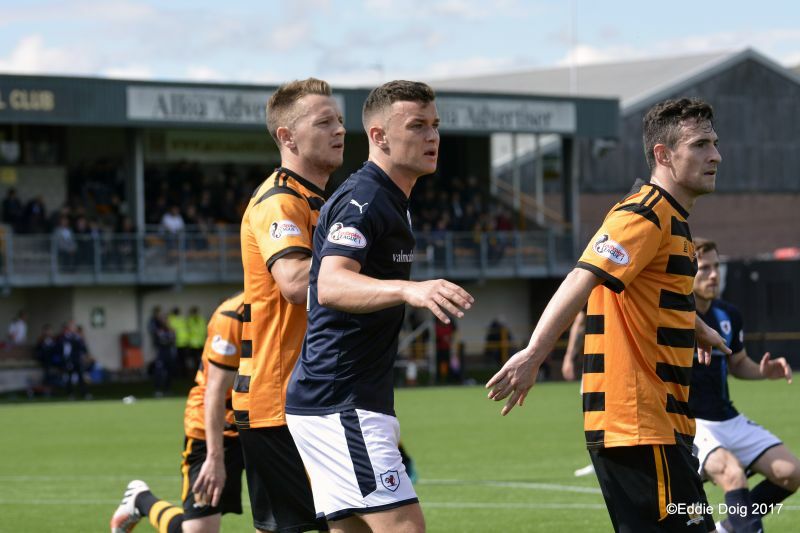 Raith Rovers said bonjour, guten tag and aloha to the League One campaign at Alloa this afternoon. Many fans, and your not very intrepid reporter, arrived nice and early with time to grab some lunch at the handily positioned KFC. Having done more than seventy matches, clipboard and pen in hand, I didn’t feel I needed much of a preseason. However, I was wrong. About to enter Recreation Park in a light summer jacket, I realised I was penless! Memorising events or relying on the young people’s technology of a mobile phone thingy weren’t options so a rapid tactical withdrawal was made to grab a handful pens from the car. 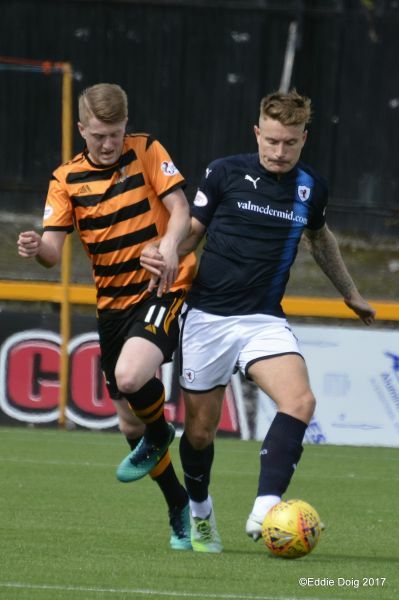 Pleasingly, the Rovers were rather better prepared than yours truly, starting as they did for last week’s win versus Cowdenbeath, with a familiar face listed on the bench as a ‘trialist’. 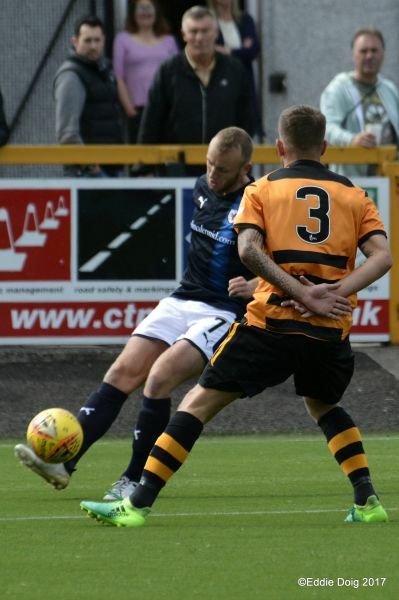 (Hint – he was wearing number three, often that of a left back). 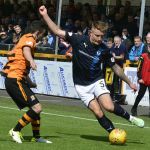 The hosts had a couple of players who started at the Rovers but didn’t feature in the First Team at Stark’s Park, in the shape of Craig Malcolm and Frank McKeown. In the home end, ice polls were available, a summer football treat that wasn’t an option for the large Rovers’ support. 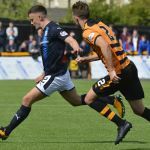 The sun was out for much of the match but there were several squally showers in the early stages. 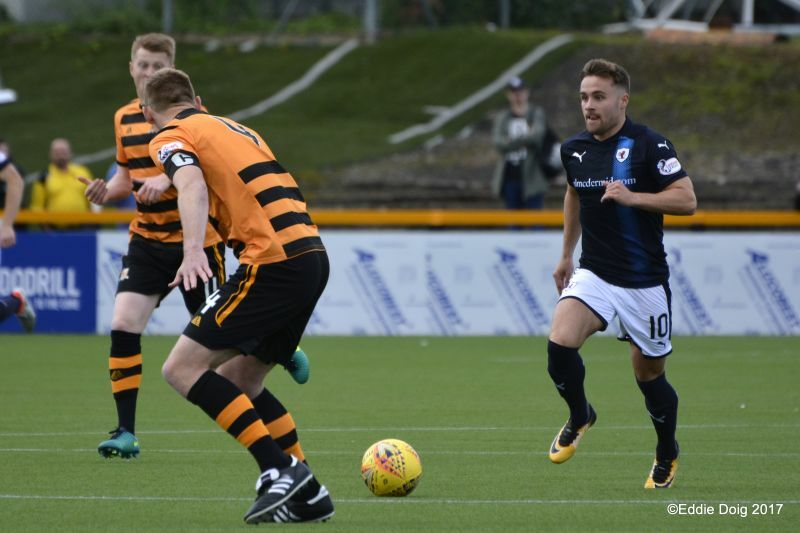 A slack pass by McKay played in Taggart, who shot well wide from twenty-five yards. 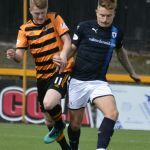 In the fourth minute, Lewis Vaughan nicked the ball just outside the Rovers’ box and, eluding home men, was approaching the edge of the Alloa box when his progress was ended as he played the ball wide. The home right back, Taggart, found space on the Rovers’ left and his cross was flicked on across goal. However, the home formation had Malcolm isolated up front. 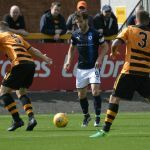 The Rovers had a flat back four with Robertson in the middle with Vaughan in front of him, flanked by Matthews and Callachan. Those three were looking to support Buchanan and Spence up front. 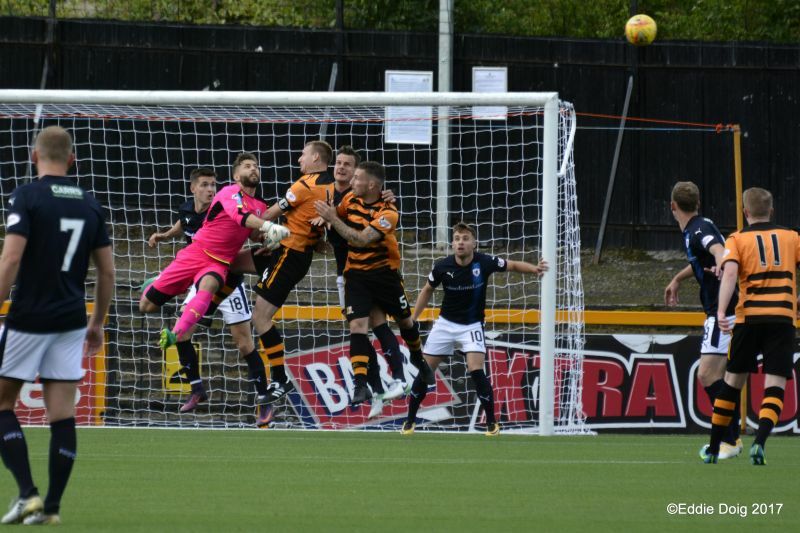 Buchanan saw a shot blocked before Murray was felled by a high boot to the consternation of the away fans. 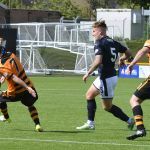 From the game’s first corner, Murray flicked a header on, which was played goalwards, only to be bundled off the line by a home man. Taggart again found space, though his cross was blocked, falling to Flannigan who shot low but wide. 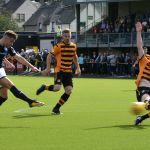 In the fifteenth minute, again exploiting space on the Rovers’ left, Taggart was given time to try and play in a dangerous ball that Kevin Cawley capitalised on, firing a low shot past Lennox from eighteen yards. Encouraged, the home side seemed lifted by the goal but despite that, the Rovers came close to scoring when, from a long throw, the ball was flicked on to Buchanan whose shot was blocked but rising, flew towards goal, where a home man booted it skyward and was no doubt pleased to see his keeper, Parry, jump to claim it on the goal line. Barry Smith had seen enough and reshaped the side to a more orthodox 4-4-2 with Vaughan on the left and Matthews on the right. 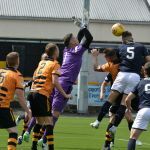 This solved the problem of the space the Wasps had been exploiting and Taggart contributed little offensively from then on. 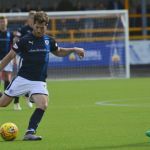 Matthews lost his boot in the centre circle but continued to play on for about a minute even passing rather than put the ball out so he could pop it back on. 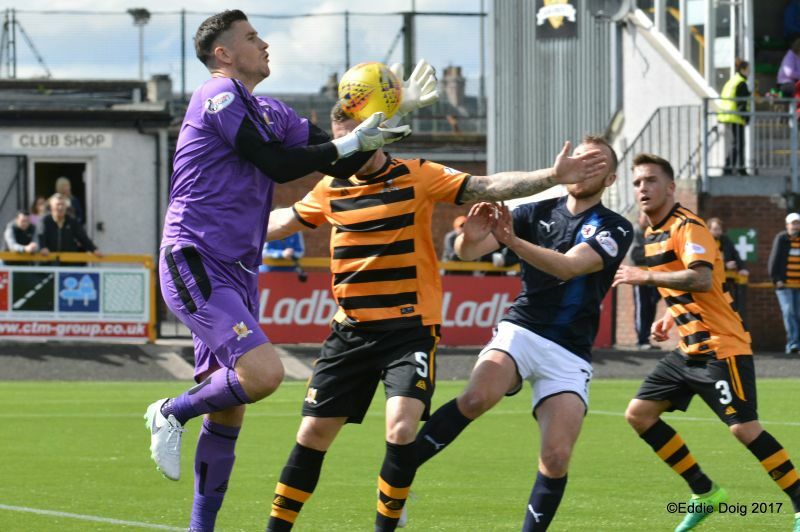 Again the Rovers threatened with Buchanan going wide and sending a great ball in for Spence whose bullet header was straight at the home keeper. 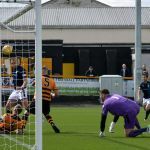 Pushing on, the visitors hit the post when Matthews superb cross was headed by Spence with the slightest contact, hitting the post, with the home keeper a spectator. 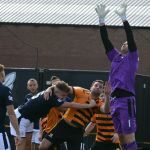 Again, the Rovers threatened when Spence was bundled in the box and the ball fell to Vaughan whose long shot was held. 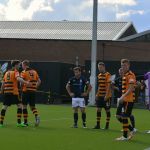 In the thirty eighth minute, the Rovers were awarded their first free kick after a few earlier transgressions saw advantage played by the referee. 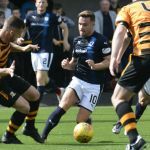 From the free kick, Vaughan’s effort hit the wall and Callachan hammered in a low shot that will have stung the hands of Parry. 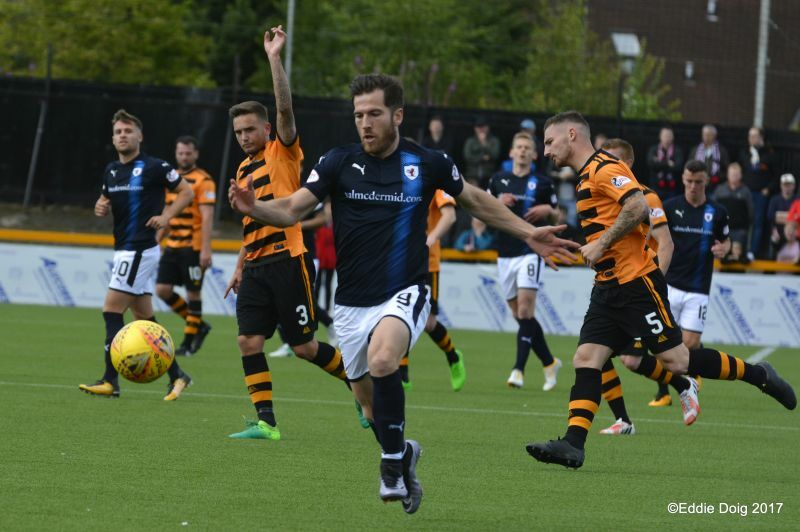 As the half wound down, several balls into the home box were scrambled away before Scott Robertson fired wide from twenty-eight yards. 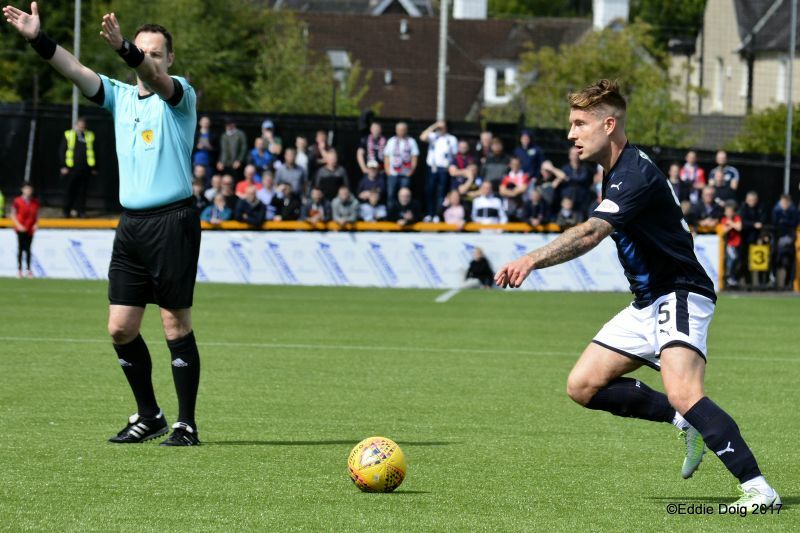 Barry Smith maintained the same shape but took off McKay with Murray moving beside Benedictus in central defence and the ‘not at all mysterious’ trialist playing left back and Barr coming on for Matthews. 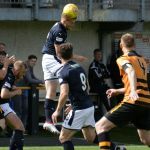 The early part of the second half was disrupted by gusts of wind that made the flight of the ball unpredictable. 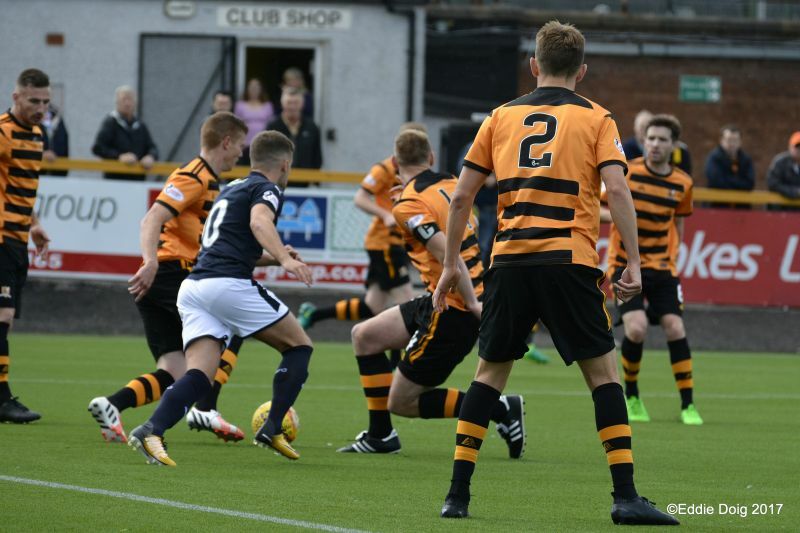 In the fifty third minute, Craig Malcolm headed a deep cross just wide with Lennox struggling. 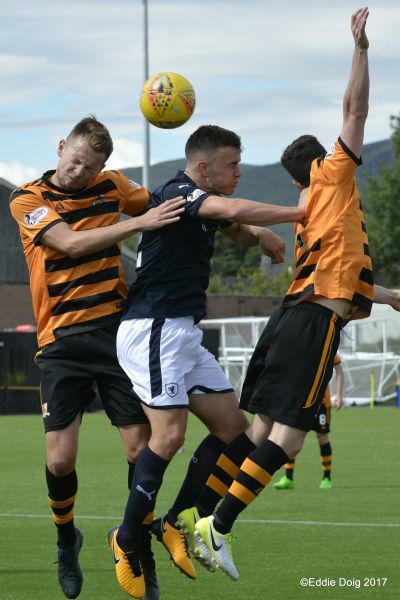 The ex-Rovers trainee’s next contribution was to fell the impressive Scott Robertson and was rightly booked. 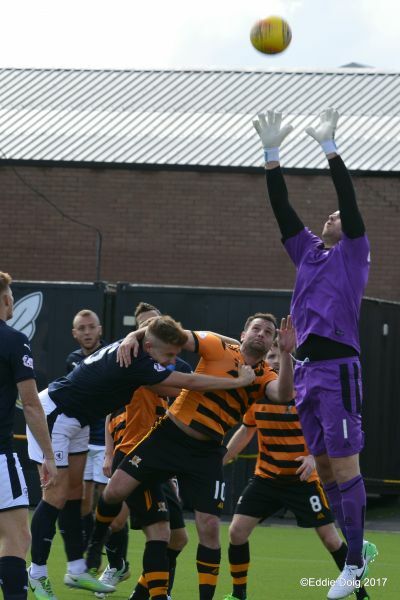 Buchanan was fouled by a diving challenge from Meggatt who was lucky only to be spoken to. 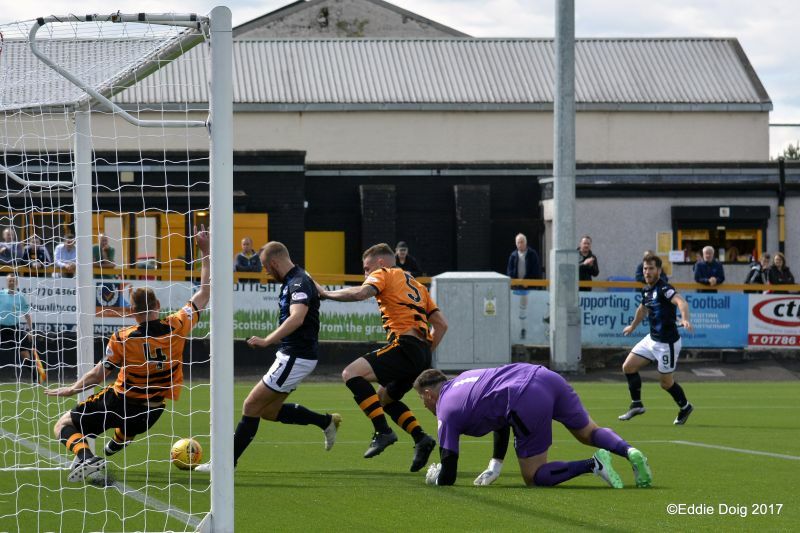 As the Rovers continued to threaten, Spence tried to curl one in from the edge of the box but his shot went just wide before a Buchanan volley went well over. Renton replaced Malcolm who, in the moments before he was replaced, had found the sideline furthest from his team’s bench oddly attractive! 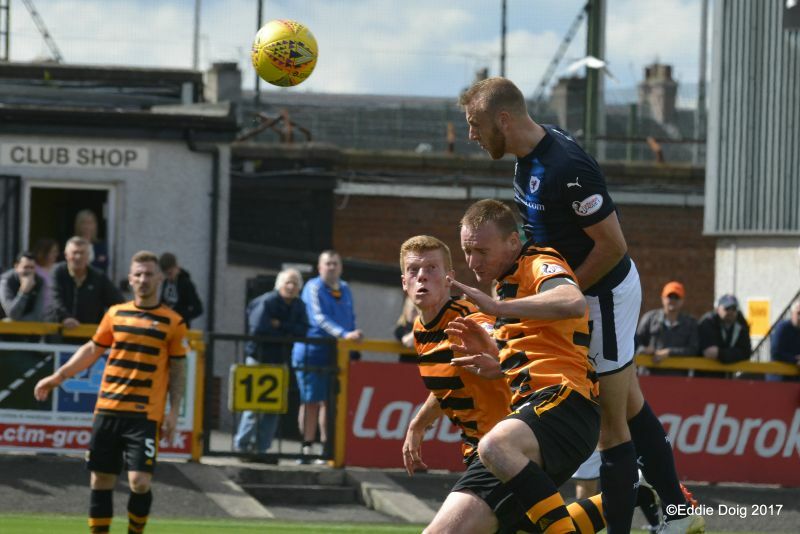 Parry’s positioning was again good, getting behind a Vaughan free kick before a cross from the trialist saw a panicked clearance result in a corner. 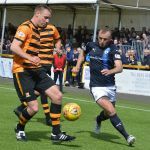 Spence – returning to Alloa for the first time since leaving them last season – was unceremoniously bundled to the ground on the six-yard line with the ball at his feet. 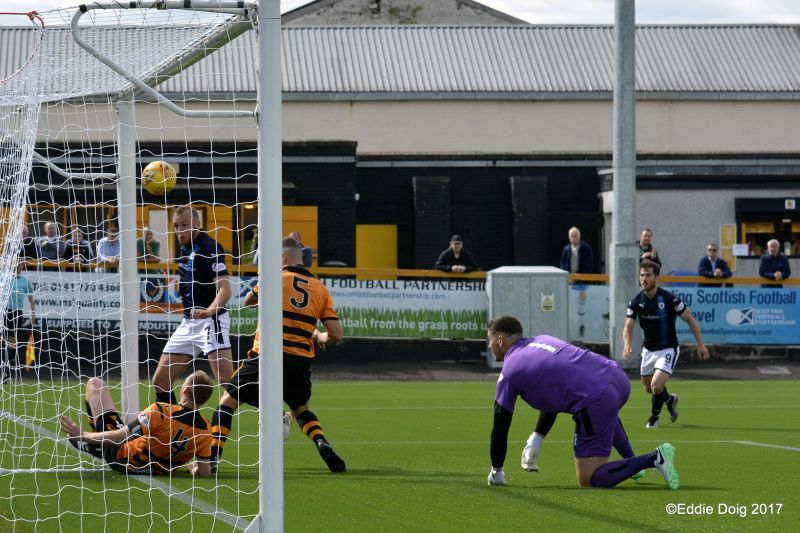 Despite the cries of many of the visiting fans, the officials saw no foul as Callachan shot wide. 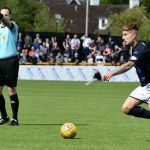 Though under pressure, Fleming could have done his new club a favour and hit the target about sixteen yards from the Raith goal but his fresh air shot saw the ball cleared. 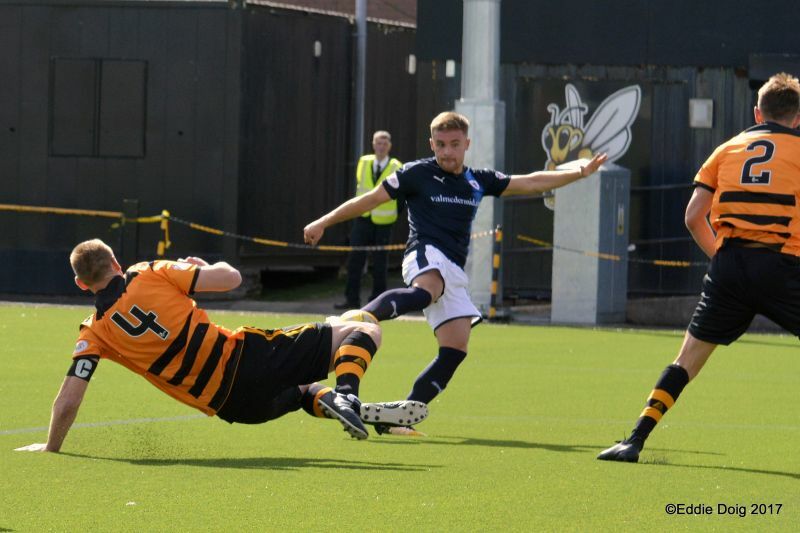 At the other end, Jason Thomson ran at a home defender and, getting past him, the Raith man was taken down in the box. Blowing his whistle, the referee scampered over, pointing at the Astroturf outside the penalty area to the surprise of most watching. Crane was booked for the foul. 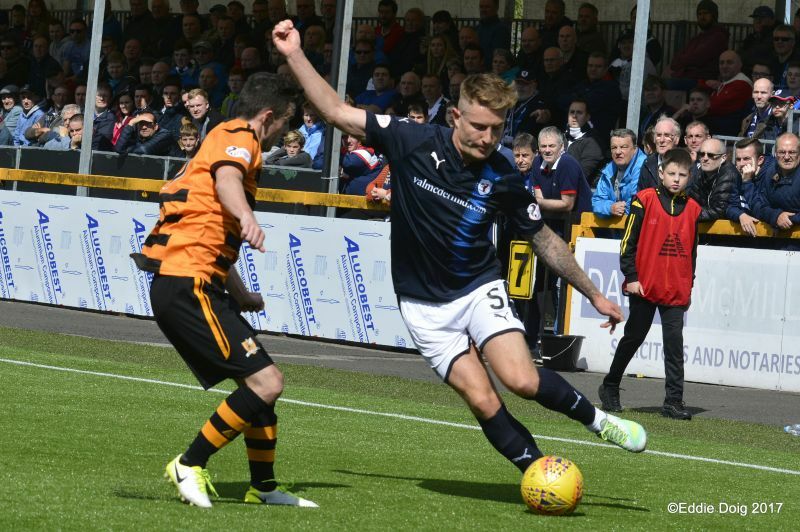 At the other end, Cawley’s overhead effort didn’t test Lennox before another Rovers’ attack saw Spence denied well by Parry before the ball squirted across the six-yard box to where Vaughan was foiled by a despairing dive from a home defender. 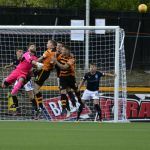 It was beginning to look like the Rovers were not going to get a goal, no matter how hard or how often they tried. 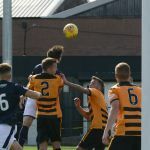 In the eightieth minute, Scott Robertson, who’d played well, was replaced by Court, just before Buchanan head flicked a corner up and over the home bar. 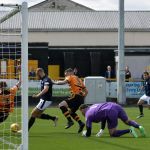 As Alloa tried to seal the points, Lennox dived, holding a direct free kick then four minutes later, the big Aussie did very well to make a great save, stopping Cawley’s low shot. 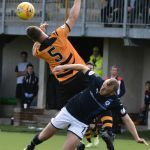 As time began to run out, Court was pancaked by a defender as he tried to win a header in front of the increasingly frustrated visiting support but no foul given. Thankfully, the youngster was okay. 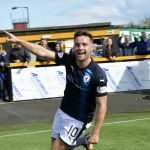 In the ninetieth minute, Lewis Vaughan was found with a good pass by Spence at the corner of the six-yard box and fired the ball past Parry to the unbridled delight of Rovers’ players and fans alike. 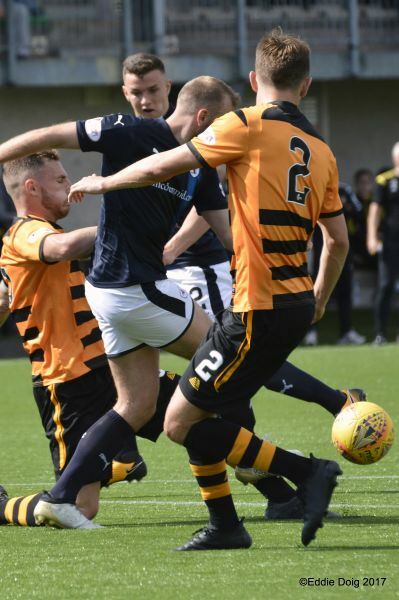 All square, the Rovers pushed on in the final moments and a cynical foul by Flannigan on Vaughan saw him booked before Spence saw yellow for a similar foul on him. 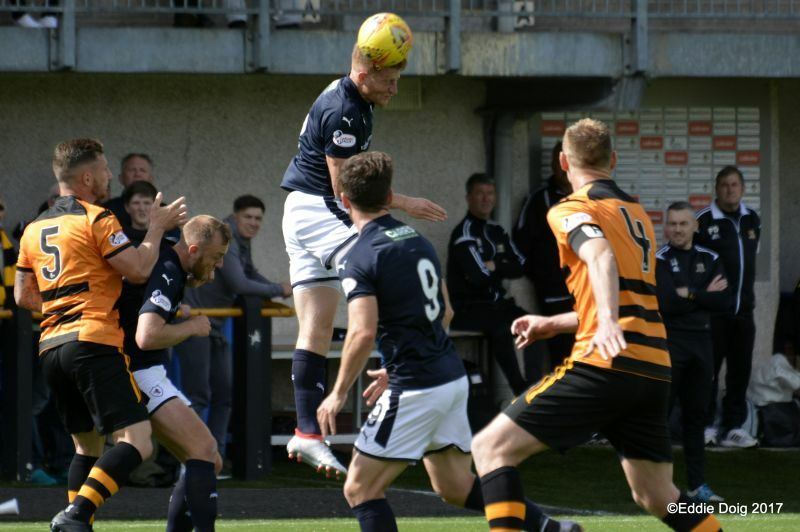 The last chance fell to the hosts who saw a free kick touched wide. 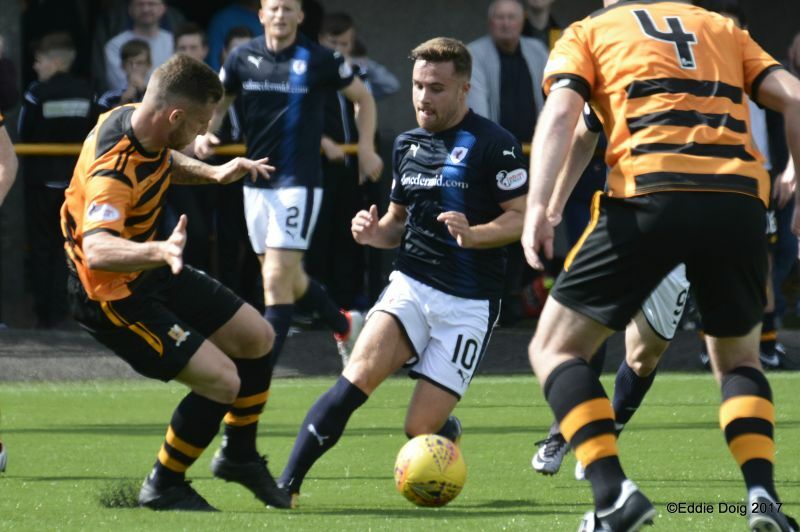 Both sides will rue missed chances and feel all three points could have been theirs. 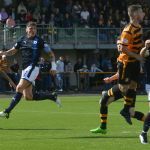 However, the Rovers’ support is bound to have enjoyed the step up in play over much of the fare on display last season. Also worthy of mention was the effective alteration to the shape of the side when needed, which was executed well by both the players and the coaching staff. There is a long way to go this season but the fact the Rovers kept on working and left last season’s runners up with a share of the spoils is not a bad start. Hopefully, I will step up my game for future reports as I appear to have more work to do than the Rovers. Welcome to the Indodrill Stadium, it's 18 degrees and slightly cloudy. 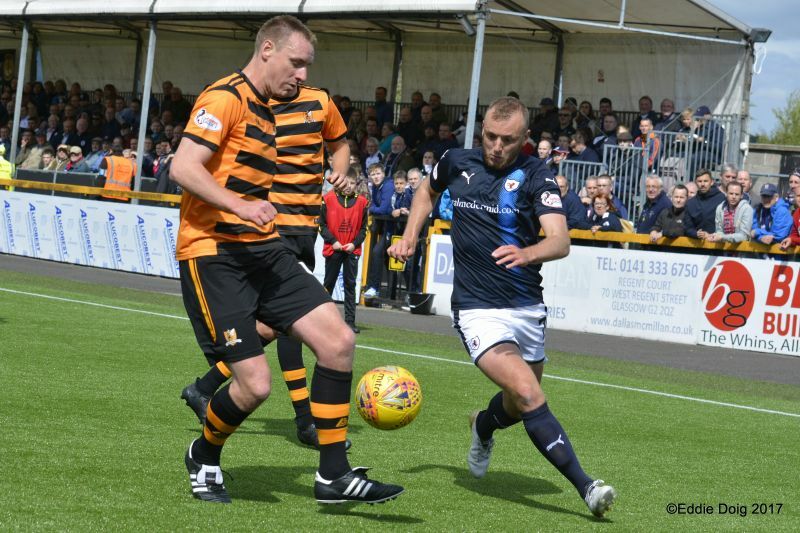 Alloa stroking the ball about midfield but let the ball run out of play. Taggart has a shot from 25 yards and nearly hoofs the ball onto the railway line. Vaughan felled outside the area but Mr Cook waves on play. 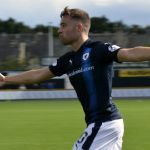 Fleming shoots and wins a corner from a deflection. Buchanan and Thomson with a 1-2, Buchanan sees his shot blocked by Meggatt. Vaughan flights in a corner, Benedictus is denied by Parry. Benedictus comes close with a header from the free kick. 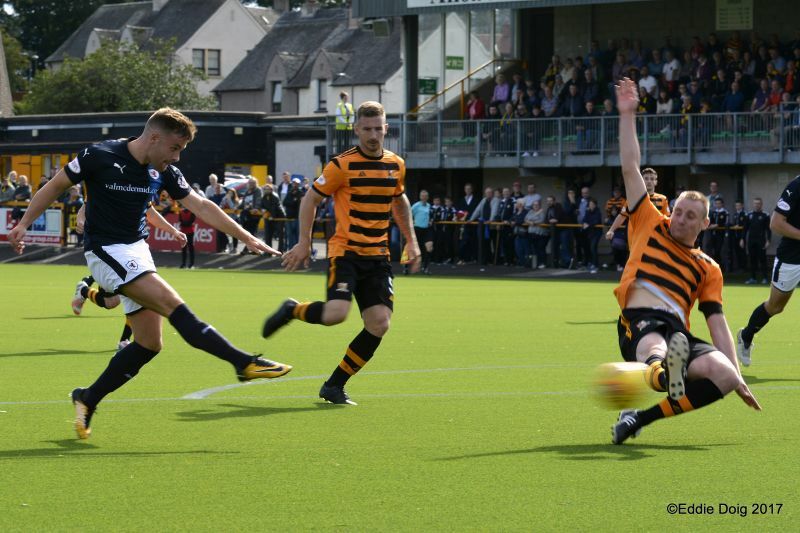 A high foot from Callachan nearly takes the head off Cawley. Buchanan, released by Vaughan, runs out of pitch chasing the ball. Taggart playing the ball in from the right found Flannigan who shoots narrowly wide of goal. Taggart playing the ball along the 18 yard line to Cawley who finds the net at the back post. 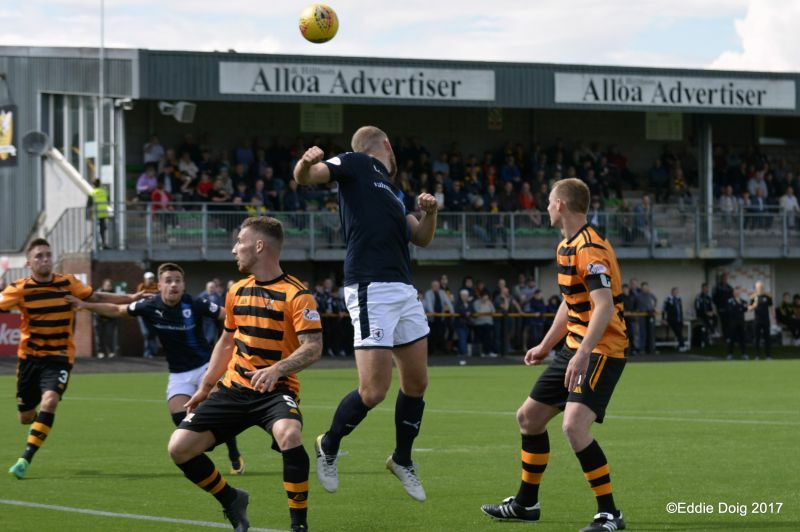 Alloa with the greatest possession thus far. Vaughan has an audacious back heel cleared off the goal line. 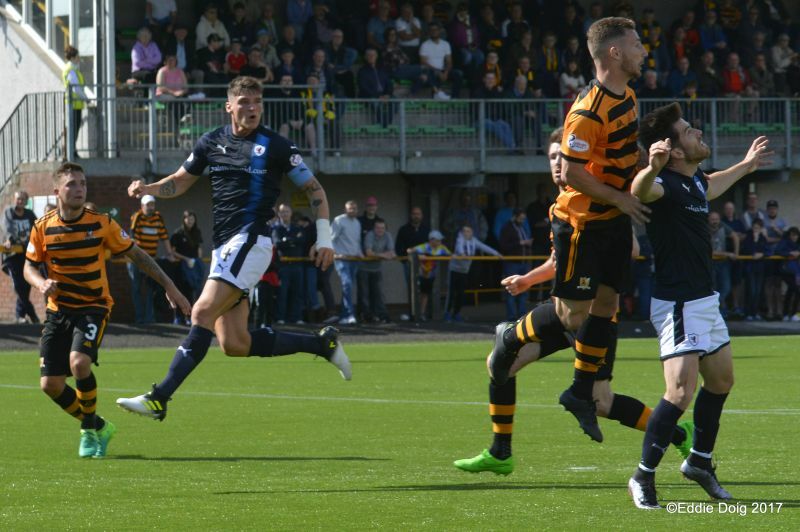 Buchanan and Spence break, the latter delivered a cross to Spence whose header was collected by Parry. 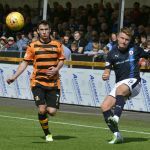 Rovers with the ball up the park but to no avail. The three Amigos working the ball well and win a corner. 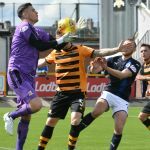 Rovers winning the ball but giving possession straight back to Alloa. 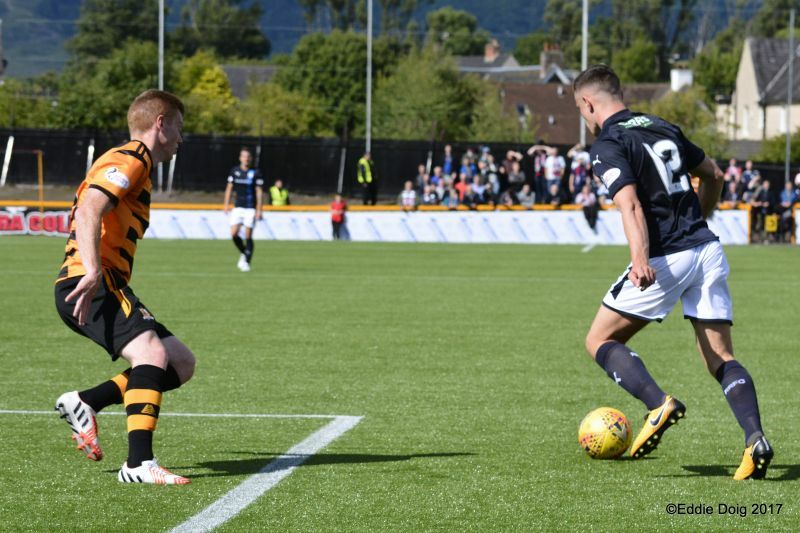 Murray playing in a cross, the ball missed Spence and hits the post. Spence bundled in the box, play on says Mr Cook. Free kick 20 yards. 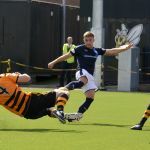 Vaughan hits the wall, Callachan shoots to Parry. Callachan, Robertson and Vaughan pound shots into the box, all are repulsed. Half time. 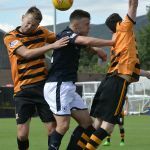 Alloa Athletic 1-0 Raith Rovers Cawley 15'. 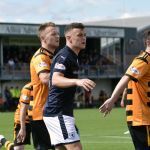 Matthews and McKay off, Barr and McHattie on at half time. 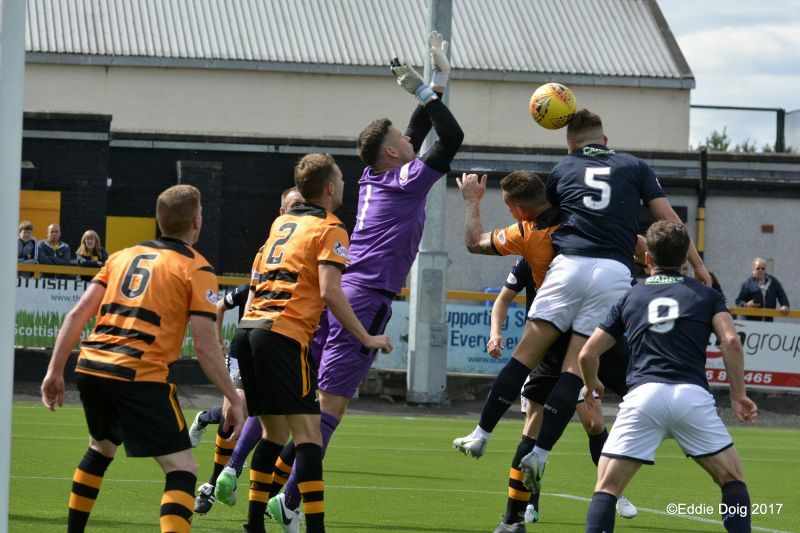 Alloa pressure ends up with Robertson hoofing the ball into the crowd. 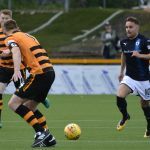 McHattie at LB, Murray taking over from McKay. 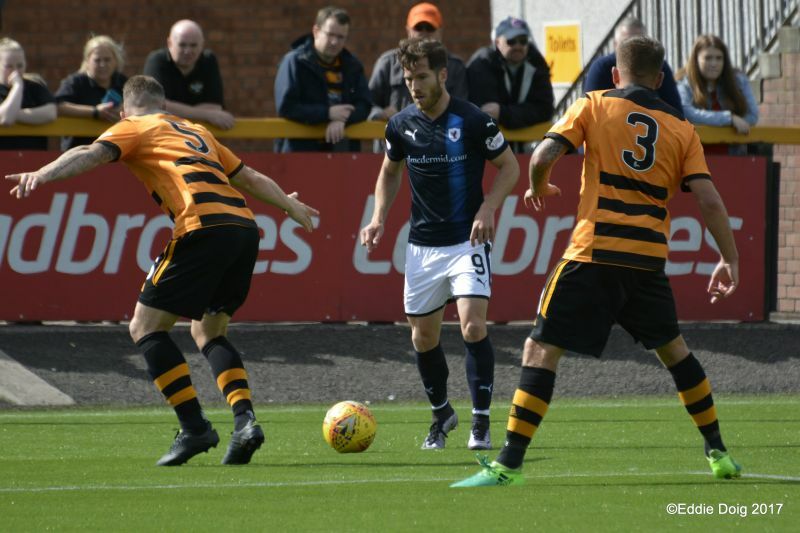 Rovers front 3 toiling against the tall Alloa defence. 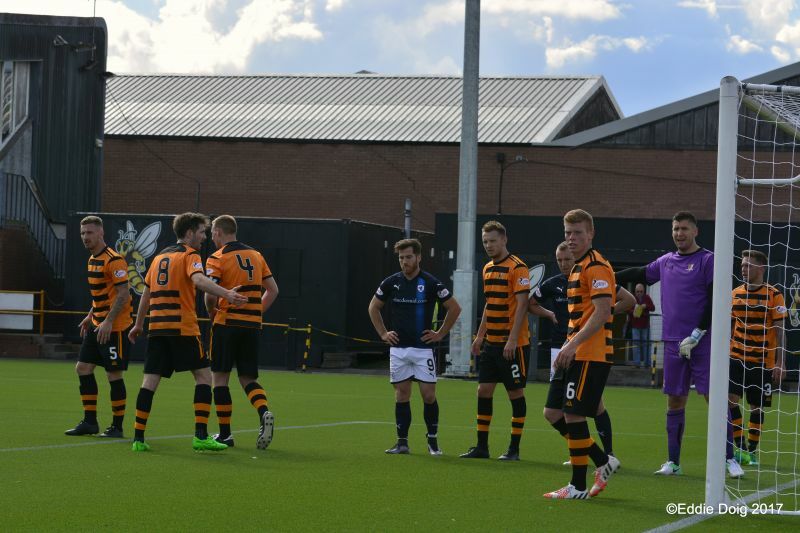 A cluster of players around Lennox as he manages to punch clear a corner. 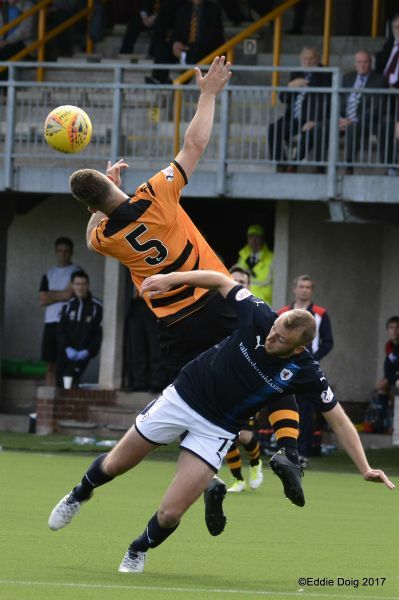 Malcolm taking out McHattie, the Rovers man lets him known what he thinks of it. Meggatt taking a telling from Mr Cook. 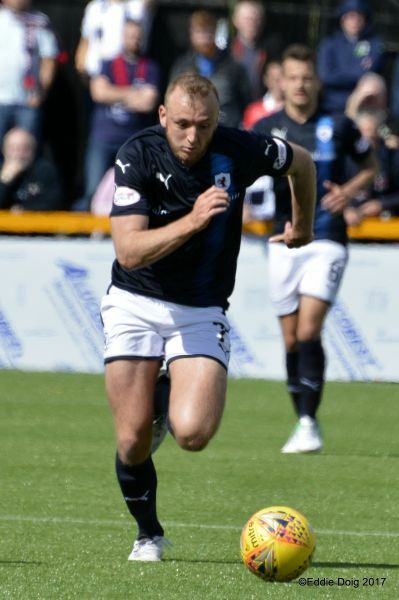 Vaughan plays on to Spence who tried to lob Parry from 18 yards. Thomson crosses from distance, Buchanan shoots over from outside the area. Vaughan 25 yards out hits a free kick over the wall and into the arms of Parry. Parry dives to pick out a cross from Barr. 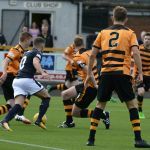 An Alloa cross evaded Lennox the ball going out of play via the legs of Thomson. 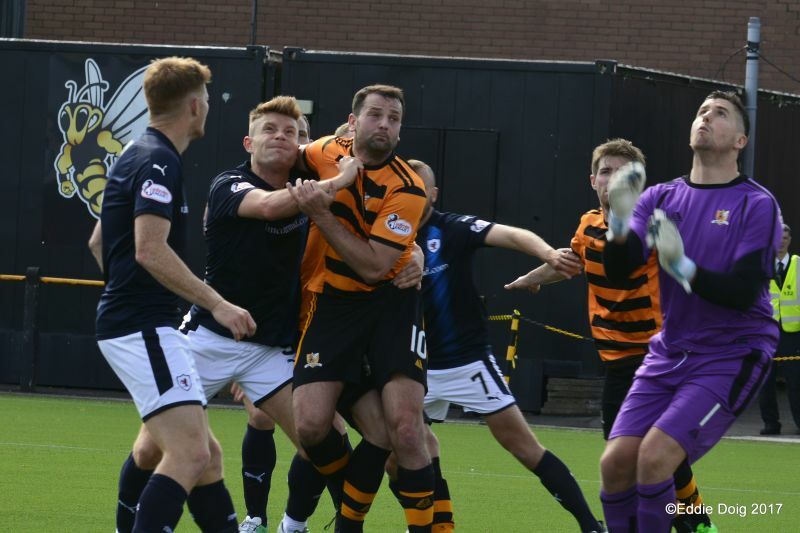 Andy Graham finally penalised for fouling. Rovers having no joy against Parry as another corner is claimed. 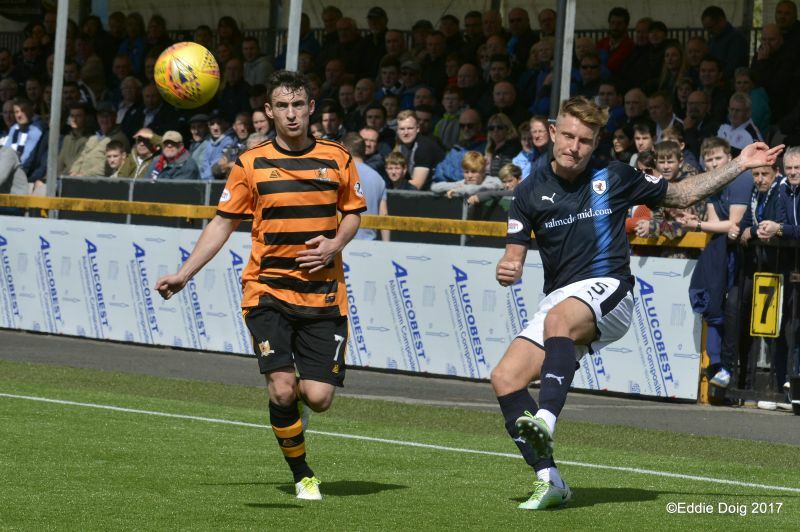 Spence pulled down by Meggatt for no sanction. 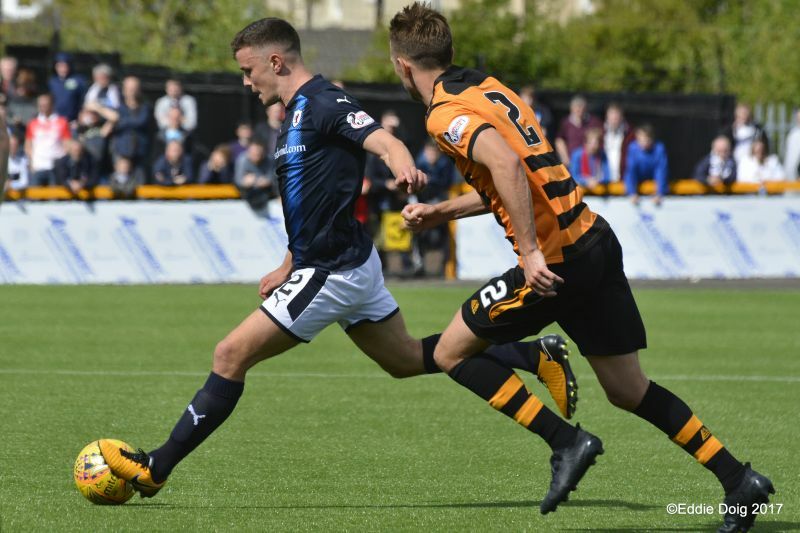 Fleming is kicking himself, a free shot from 14 yards is sclaffed wide. Thomson brought down in the box, Mr Cook awards a free kick. 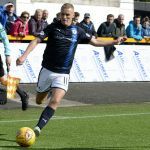 McHattie strikes the wall with a left footed shot. 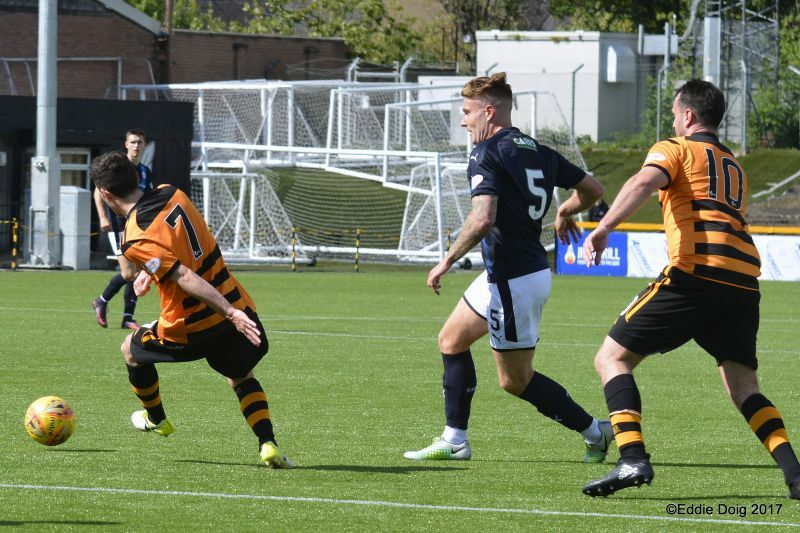 Cawley sees his overhead kick saved by L.
Latest score Alloa Athletic 1-0 Raith Rovers. Thomson gives himself a lot of work, he gives the ball away and fights to recover. 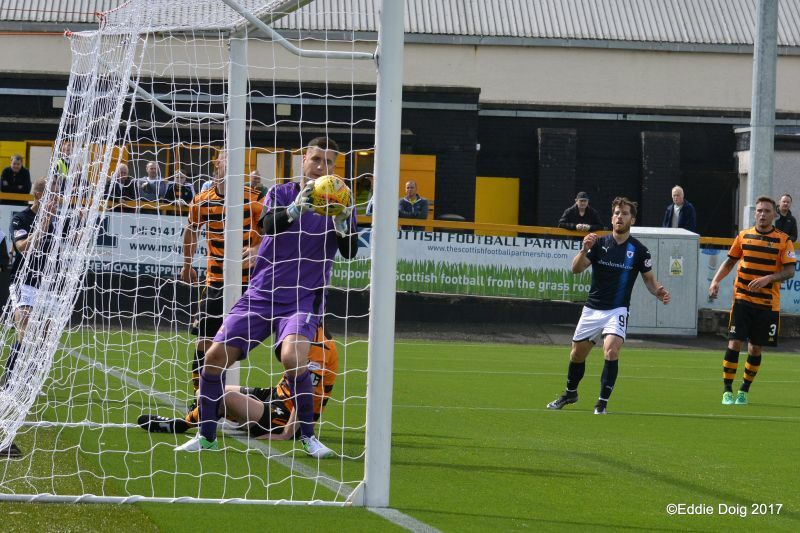 Spence and Vaughan have shots blocked, firstly the keeper then Graham. 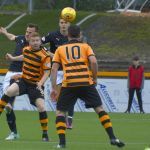 Meggatt and Murray clash heads from a corner. Murray receiving treatment on the pitch. Murray coming back onto the pitch. Flannigan hits a free kick to Lennox. 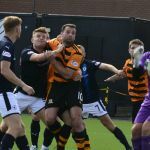 Barr pinging in a cross but a mass of Alloa defenders blocked it's path. 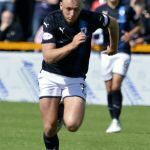 Vaughan from 10 yards, earning a point for the Rovers. +3 Murray fluffed a clearance from a free kick, the ball is cleared. 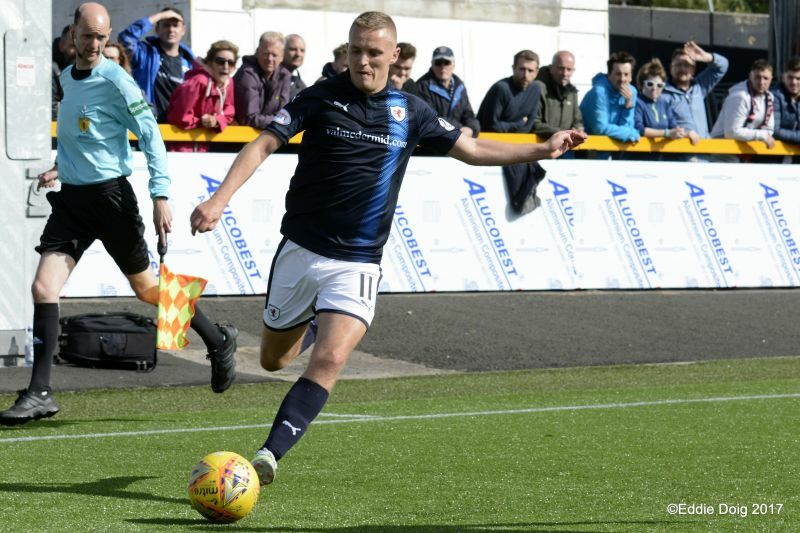 Lewis Vaughan with his 5th of the season earns a point for the Rovers. Parry, Taggart, Crane, Meggatt, Graham, Robertson, Cawley, Flannigan, Malcolm, Fleming, Cook. Subs, McDowall, Grant, Renton, Mcadonald, Martin, McKeown, Hetherington. 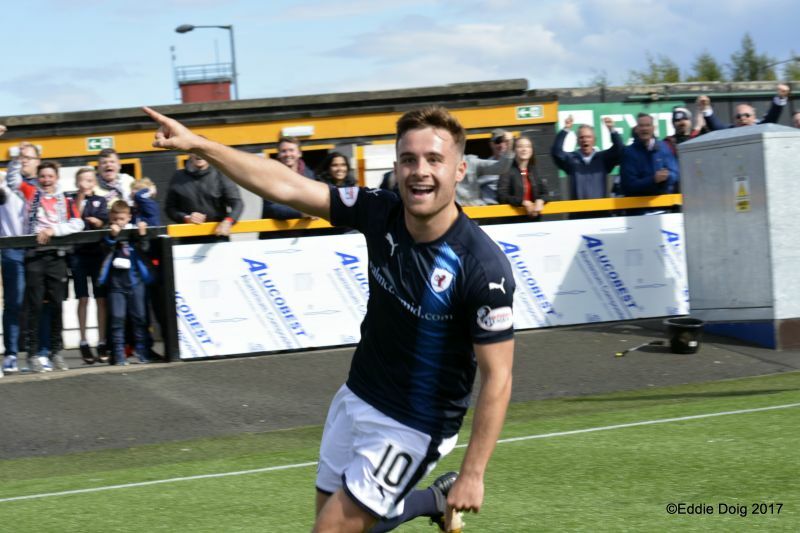 Lennox, Thomson, Callachan, Murray, Benedictus, Spence, Robertson, Buchanan, Vaughan, Matthews, McKay. Subs, Barr, Osei, Court, Berry, Watson Trialist, Brian. 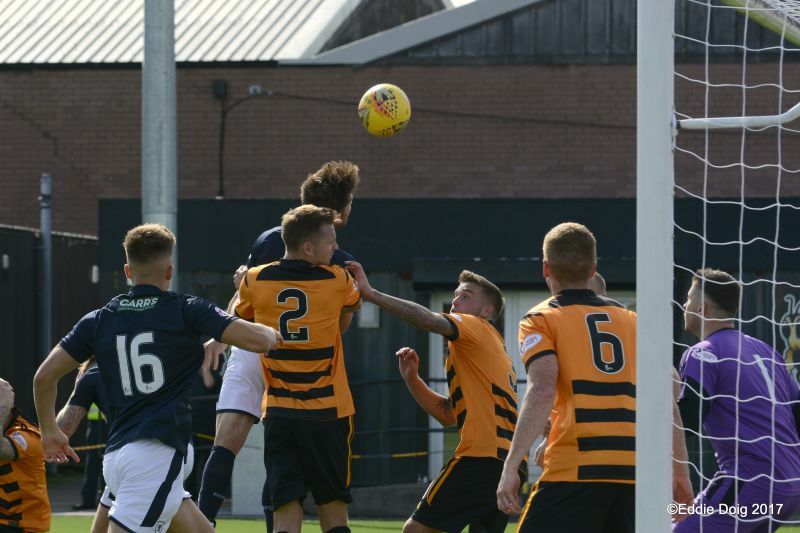 Raith Rovers League One campaign kicks off this Saturday, when they visit the Indodrill Stadium to play Alloa Athletic. 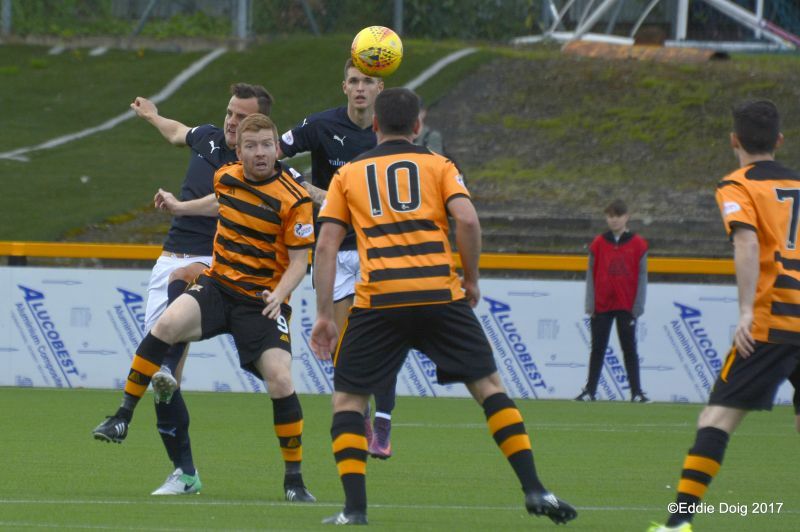 Like Raith, the Wasps failed to qualify from their League Cup section, although unlike Barry Smith’s team, Alloa failed to win a game, losing to Hibernian, Montrose and Ross County, as well as to Arbroath on penalties. 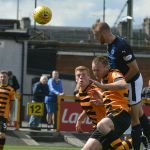 After narrowly missing out on promotion last term, after losing on penalties in the playoffs to Brechin City, the Clackmannanshire side has undergone something of an overhaul over the summer, with amongst others, Jason Marr, Jordan Kirkpatrick, Graeme Holmes, Calum Waters, and or course Greig Spence all leaving the club. 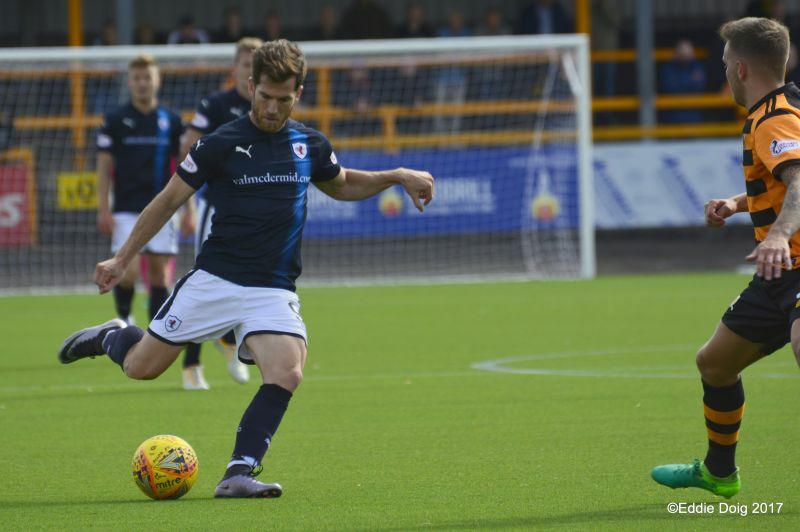 To fill those gaps, Jim Goodwin has brought in former Ayr United left-back Darryl Meggatt, whilst in the middle of the park, Alan Cook and Thomas Grant have both been brought in from Stenhousemuir. 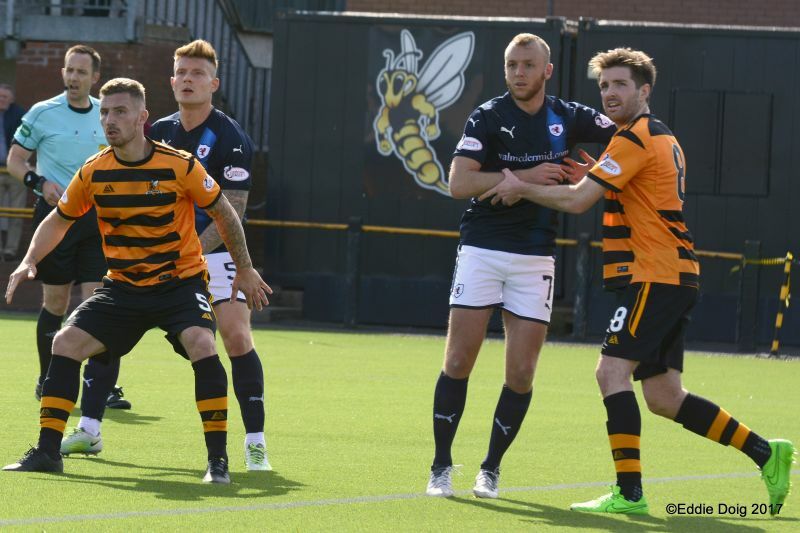 Up front, in an attempt to replace the goals lost from Spence and Kirkpatrick, the Wasps have acquired Craig Malcolm from Stranraer, Kris Renton from Cowdenbeath, and Gary Fleming from Dumbarton. 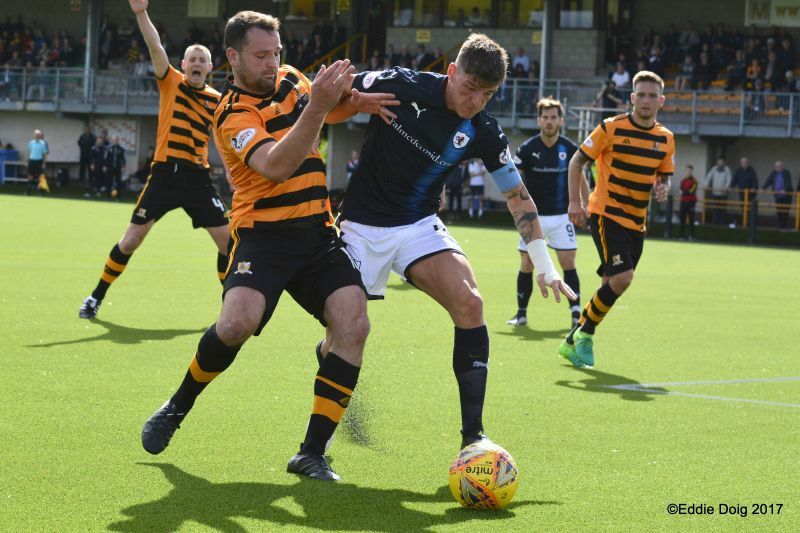 The two sides last meeting was just last season, when a Greig Spence goal handed Alloa a 1-0 win at Stark’s Park, a result which eliminated Rovers from the League Cup group stage, with Alloa topping the group as a consequence. 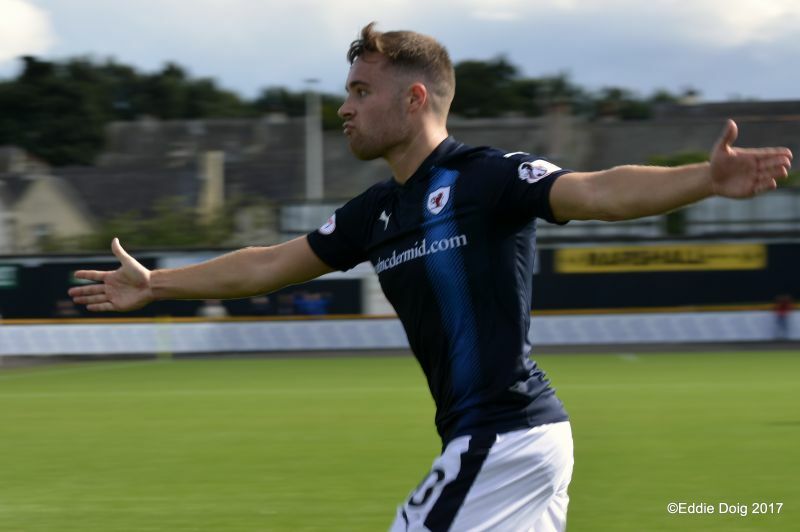 That defeat aside, Raith have a good record against Alloa, winning five and drawing three of the clubs last ten meetings.